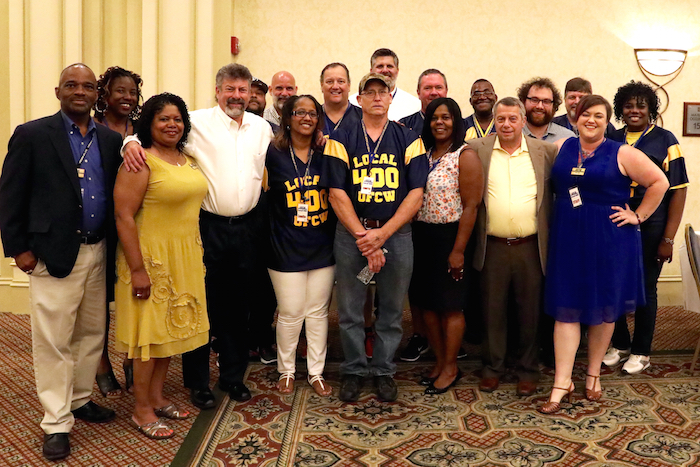 On July 24, members of UFCW Local 400 who work at the nation’s only Lipton Tea plant in Suffolk, Va., voted overwhelmingly to approve their first union contract. 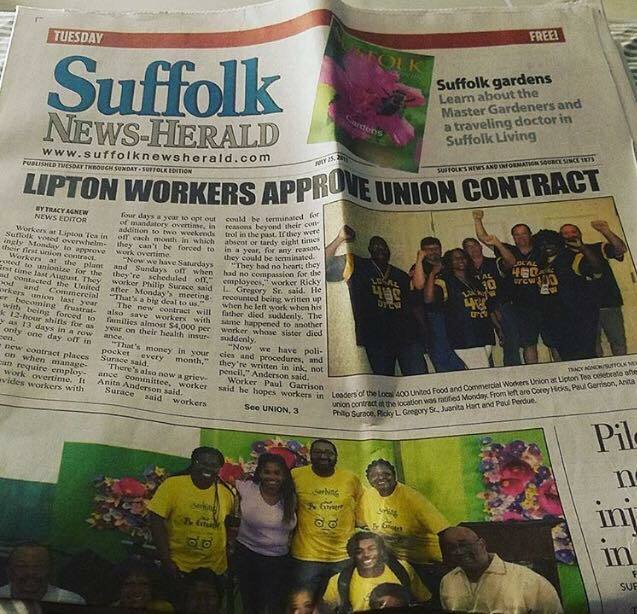 The Lipton plant in Suffolk has operated for more than 60 years and produces nearly all of the Lipton Tea sold in North America. The ratification represents the first time in the history of the plant when workers were given the opportunity to vote on the terms and conditions of their employment. The four-year contract includes significant improvements to working conditions and health care benefits, and places strict limits on when management can require employees to work overtime. The contract also provides workers with four days per year to opt out of mandatory overtime, in addition to two weekends off each month in which they can’t be forced to work overtime. “Now we have Saturdays and Sundays off when they’re scheduled off,” worker Philip Surace said after Monday’s meeting. “That’s a big deal to us.” The new contract will also save workers with families almost $4,000 per year on their health insurance. “That’s money in your pocket every month,” Surace said. Read more on the story in the Suffolk News Herald. “It was a long process, but we couldn’t be happier with the outcome,” said Anita Anderson, an operator at Lipton for 11 years. “Our new health care plan is a huge weight off my shoulders. Personally, I take medication every day and I can’t go without my health insurance. But I’m also a dad, and saving $4,000 a year goes a long way for me and my family,” said Terrell Owens, who has worked as an operating technician at Lipton for the past nine years.